The Čezeta Type 506 is a re-incarnation of a famous scooter from the company Čezeta from Czech Republic. 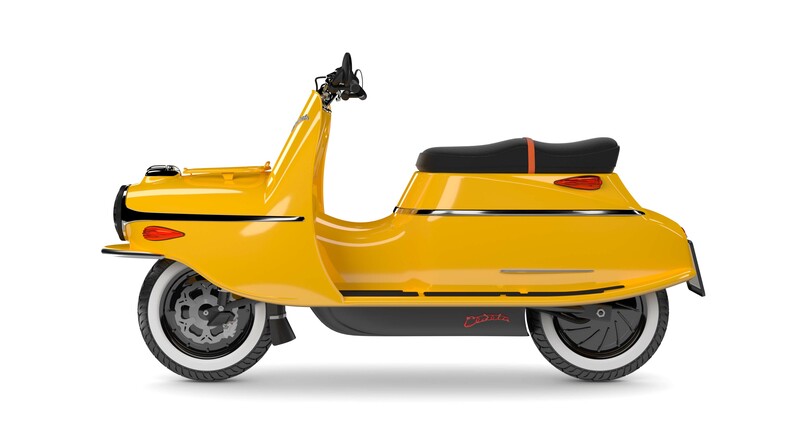 The Čezeta scooter model was created in the 1950s during the period of post-war ‘space-age’ design. The ideal of the first Czechoslovak Čezeta engineers was to design something comfortable like ‘a car on two wheels’. 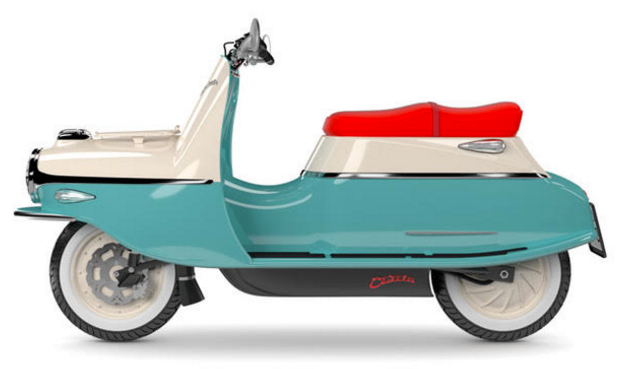 From that idea, Čezeta’s iconic scooter design evolved into its famous rocket shape – with an especially long seat made for two. The Čezeta Type 506 continues the heritage in the next evolution of the Čezeta design powered by an electric motor. The scooter is provided with a Lithium battery from Panasonic with a range of 120-150km. The battery is of the same type as the batteries in the Tesla Model S which provides the scooter with optimal durability and performance. 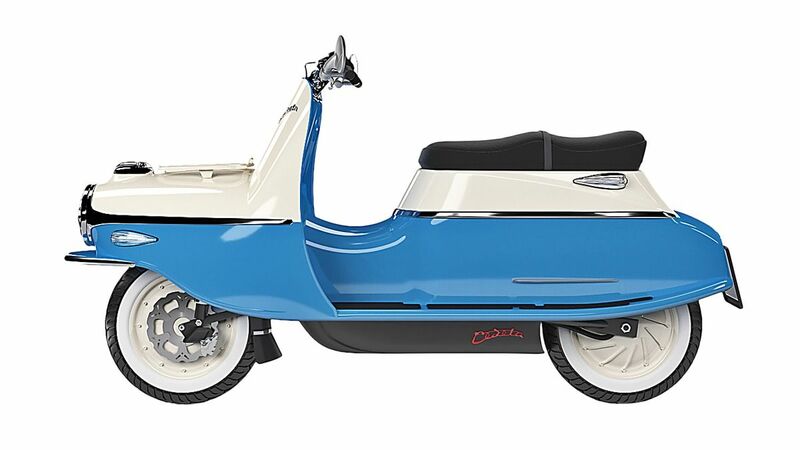 The scooter is available with two motor and battery versions: Type 506/01 and Type 506/02. The Type 506/01 version has a 4kWh battery pack for a range of 80km and a 8kW (max) electric motor for an acceleration of 0-50km/h in 4.5 seconds and a top speed of 85 km/h. The Type 506/02 version has a 6kWh battery pack for a range of 120-150km and a 11kW (max) electric motor for an acceleration of 0-50km/h in 2.7 seconds and a top speed of 115 km/h. The scooter has a Kinetic Energy Recovery System (KERS) or regenerative braking in which energy from braking is returned to the battery. Čezeta provides high quality service. The scooter is provided with 2 years or 40,000 KM warranty and 1-year Europ Assistance breakdown assistance or recovery of scooter to a Čezeta Authorised Service Partner and for rider and passenger taxi up to 50 km plus train/bus onward journey home as required. The purchase also includes 1-year 24/7 Personal Assistant (concierge assistance) for everything you might need arranging. The scooter can be ordered with extended warranty for coverage of 5 years or 100,000km. 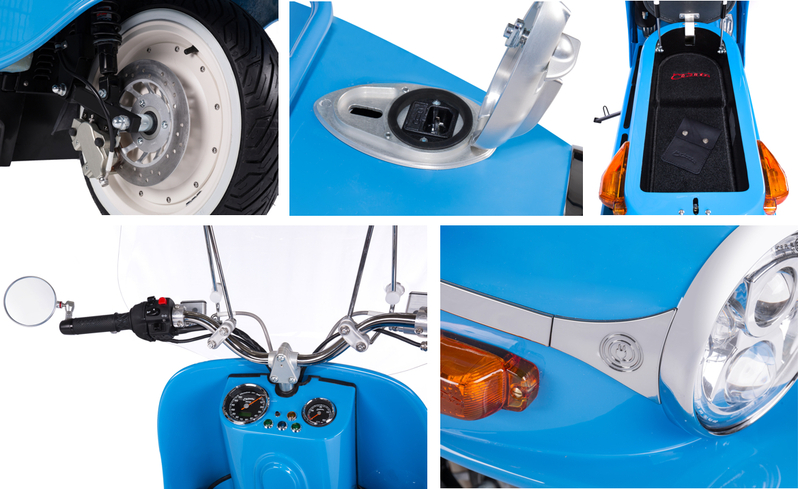 The scooter is designed to be practically maintenance-free. An electric one requires none of the oil changes, fuel filters, spark plugs or emission checks that are part of servicing and with the Čezeta Type 506 even brakes are less worn through efficient regnerative braking. 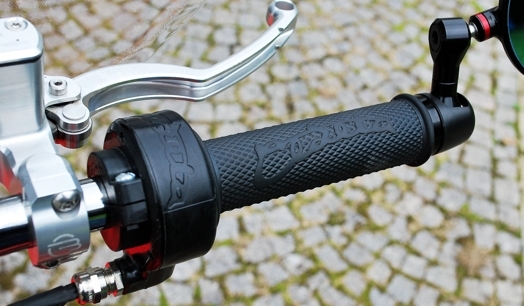 The scooter can be personalized using an online configurator. The scooter ships world wide.